Real-time messaging app WhatsApp has been testing an update that will let users delete sent messages even after an hour. The update has been rolled out for Android beta users. 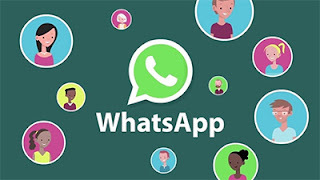 The existing 'Delete for Everyone' feature, which was rolled out in November last year, only allows deleting sent messages within seven minutes. 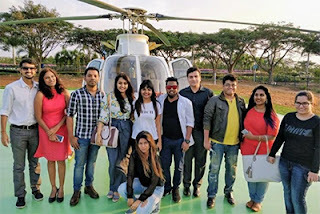 India's first helicopter taxi service was launched in Bengaluru on Monday to fly passengers from Kempegowda International Airport to Electronic City. The service is expected to reduce the time taken to cover the distance from 2 hours to 15 minutes. The helicopter will seat up to six people apart from the pilot and the service will cost ₹3,500 plus GST. Janhvi's message makes it evident that, irrespective of age, it is never easy for a child to live with the loss of a parent. The love and bonding between Sridevi and her daughters was something that we had all witnessed. To help everyone understand how AI can solve challenging problems, Google has created a resource called ‘Learn with Google AI’. This site provides ways to learn core Machine Learning (ML) concepts, develop and hone one’s ML skills, and apply ML to real-world problems. From deep learning experts looking for advanced tutorials and materials on TensorFlow, to people who want to take their first steps with AI, anyone looking for educational content from ML experts at Google. 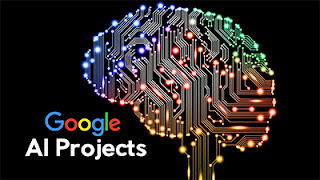 Learn with Google AI also features a new free course called Machine Learning Crash Course (MLCC). The course provides exercises, interactive visualizations, and instructional videos that anyone can use to learn and practice ML concepts.